Servant leadership is a time-honoured term suggesting that a leader's primary role is to serve others. 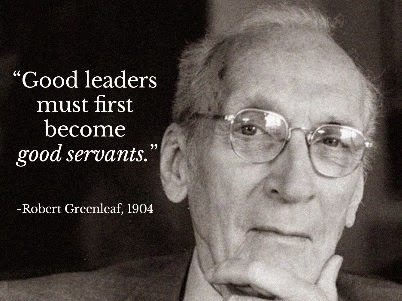 In his seminal 1970's paper The Servant as Leader, Robert Greenleaf wrote: "The servant leader is servant first…It begins with the natural feeling that one wants to serve, to serve first. 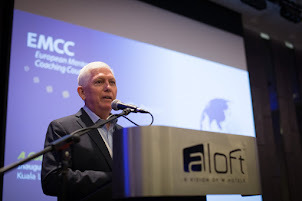 Then conscious choice brings one to aspire to lead…(vs. one who is leader first…) …The best tests, and difficult to administer, is: Do those served grow as persons…(and become) more likely themselves to become servants?" Now, a group of organisational psychologists have been attempting to measure the impact of servant leadership. In their book, Give and Take, Adam Grant and his colleagues have found that servant leaders are not only more highly regarded than others by their employees and not only feel better about themselves but are more productive as well. Further, servant leaders don't waste time deciding to whom to give and in what order. They give to everyone in their organisations. Grant concludes that giving can be exhausting but also self-replenishing. He makes it a practice to give to everyone until he detects a habitual "taker" that can be eliminated from his "gift list". Servant leadership is only one approach to leading, and it isn't for everyone. But if servant leadership is as effective as Grant's research shows, then why isn't it more prevalent?